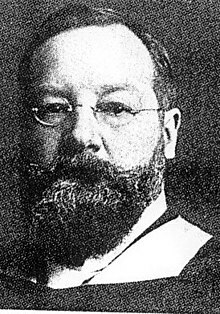 Edward Bradford Titchener (11 January 1867 – 3 August 1927) was a British psychologist who studied under Wilhelm Wundt for several years. Titchener is best known for creating his version of psychology that described the structure of the mind: structuralism. He created the largest doctoral program in the United States (at the time) after becoming a professor at Cornell University. This article about a psychologist is a stub. You can help Wikiquote by expanding it. Knowledge is the product of leisure. The members of a very primitive society have no time to amass knowledge; their days are fully occupied with the provision of the bare necessities of life. But as soon as a community begins to accumulate wealth, and so becomes able to support a leisured class (priests, instructors of rich men's children), an opportunity is created for those who desire knowledge to devote their lives to its acquirement. Out of this 'curiosity to know' science is born. Edward B. Titchener, An Outline of Psychology (1916), p. 1. Common sense is the very antipodes of science. Titchener always seemed to me the nearest approach to genius of anyone with whom I have been closely associated.… He was competent with languages, and could ad lib in Latin when the occasion required it. If you had mushrooms, he would tell you at once how they should be cooked. If you were buying oak for a new floor, he would at once come forward with all the advantages of ash. If you were engaged to be married, he would have his certain and insistent advice about the most unexpected aspects of your problems, and if you were honeymooning, he would write to remind you, as he did me, on what day you ought to be back at work. The term “introspective psychology” is misleading in that it covers a variety of diverging positions on the theory and practice of introspection. From the beginning there was a basic discrepancy between the British and the German philosophic tradition, the former relying more exclusively on introspection than the latter. Wilhelm Wundt’s advocacy and use of introspection was extremely circumscribed and essentially limited to simple judgments tied to external stimulation. During the first decade of the twentieth century some experimental psychologists, notably E. B. Titchener and the Würzburg school, greatly enlarged the scope of introspection, ushering in the brief vogue of “systematic introspection.” The latter never gained wide support in North America and was supplanted in Germany by developments that do not constitute “introspective psychology” in any precise sense.